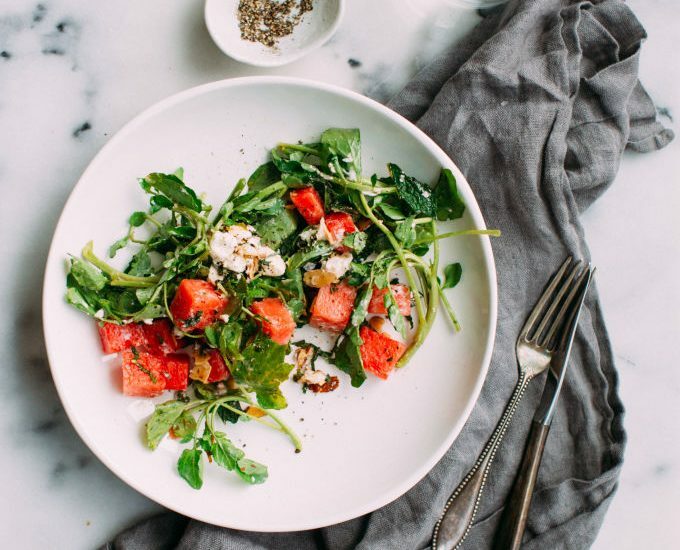 A delicious baked goat cheese appetizer! 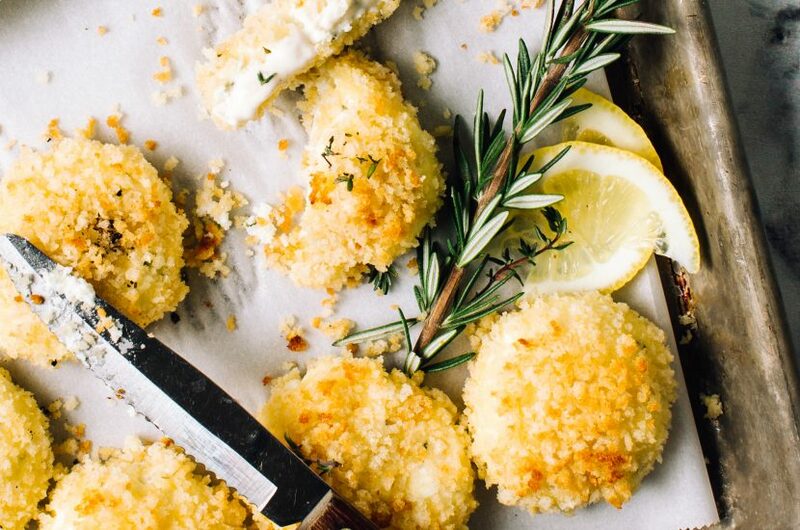 These herbed goat cheese fritters are baked in the oven (dare I say healthy?) with a buttery, crispy panko coating. 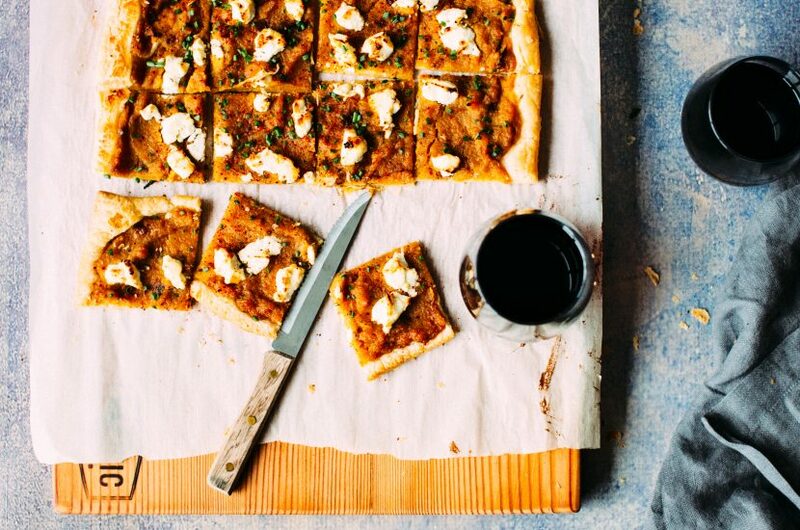 An easy fall appetizer with roasted garlic, squash, goat cheese, and puff pastry. 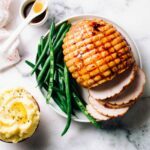 Great for Thanksgiving! 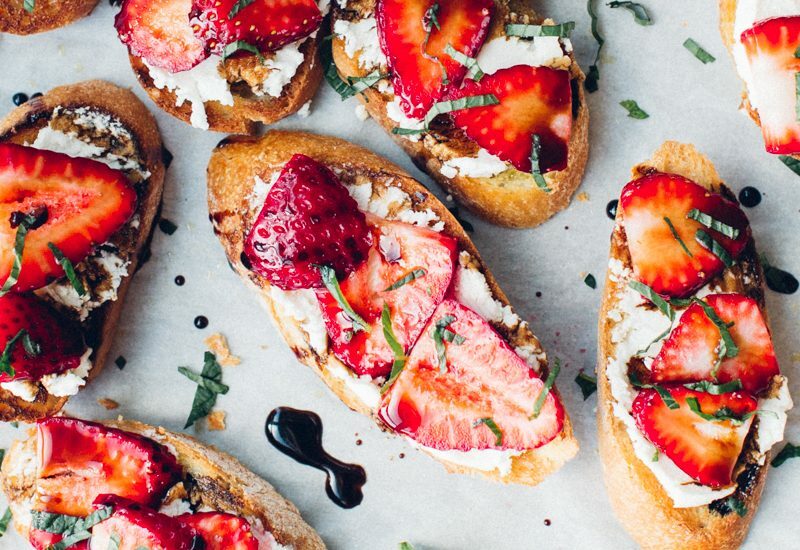 A delicious, sweet and savoury summer appetizer with goat cheese, strawberries, balsamic reduction (make your own!) and torn mint. 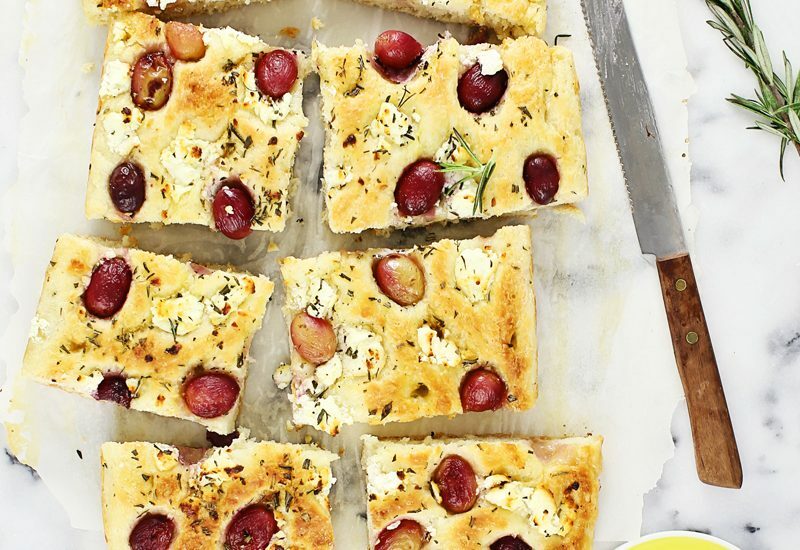 Sweet, roasted grapes, tangy goat cheese and rosemary on the easiest homemade focaccia, brushed generously with olive oil and honey.